Calxeda has announced its second generation SoC, the ARM® Cortex™ A15 based EnergyCore™ ECX-2000. This is the industry’s first ARM-based SoC enabled for full OpenStack clouds, Xen and KVM virtualization, and delivers twice the performance of the first generation ARM-based server SoCs. Calxeda will demonstrate the new platform running Ceph object storage and OpenStack at this week’s ARM TechCon conference in Santa Clara, October 29-31. 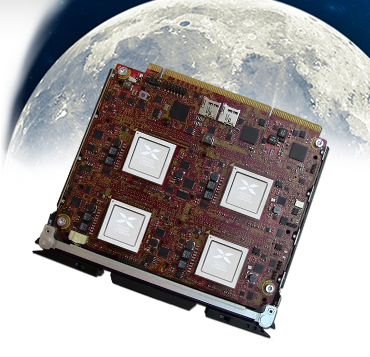 Notably, HP has selected the ECX-2000 for an upcoming Moonshot server in early 2014. Calxeda also added a second 64-bit SoC to its roadmap that is pin-compatible with the ECX-2000, accelerating the availability of production 64-bit Calxeda-based systems in 2014 and protecting customers investments. While this is big news, there is a far more important story to be told. The new ECX-2000 is just the next step on the journey to a far more efficient datacenter. This journey will fundamentally reshape the datacenter infrastructure into a fleet of compute, storage, networking, and memory resources; the so-called Software-defined Data Center. Calxeda has added the great bearded one to it’s Board of Directors. We couldn’t be more thrilled with Frank’s confidence in Calxeda and the future of our exciting roadmap. Frank will bring an amazing wealth of knowledge and contacts to our business, which can make the difference between being mediocre and being awesome. THINKING you know what customers want is nice, but KNOWING for certain is invaluable to making the right decisions. Designing a processor is always an art of making trade-offs, and this is especially true when you are designing an SOC, with all the functionality of an entire server on a small slice of silicon no larger than your fingernail. 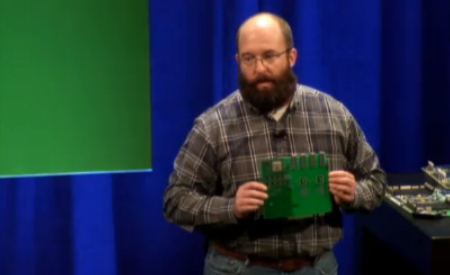 Its not about the processor, its about the entire system, or even a large slice of the entire datacenter. You have to decide whether to dedicate transistors and die area (and therefore cost) to cores, cache, memory controllers, I/O controllers, which I/O features, fabric switches, management engines, fabric software features, management software/firmware, etc, etc, etc. Would your target market customers prefer more cores? Ok, then you better have enough memory controllers to feed them, or they starve (aka, sit around and do nothing). Oh, you want more cores but don’t have room for enough cache? Well, thats a problem. (See a certain new atomic chip with anemic core-to-cache ration for a good example 😉 Again, you are giving the cores time to take a little coffee break while they wait for memory fetches. And that means poor efficiency. Since we are all about efficiency at scale, these same tradeoffs apply to the all-important features of the interconnect, or fabric. Here, the trade-offs are not the normal domain of a processor designer. These are large system behavioral questions that span networking, compute, and storage. Frank’s datacenter knowledge from his years at Dell DCS and Facebook will give us the inside track to build more than a good chip. We are enabling datacenter infrastructure, or, so-called “software-defined infrastructure” . All these little decisions will determine the fate of a project, and perhaps a company. There is no margin for error. We are very honored to have Frank join us on this journey and help us become a great company and a vital asset to our customers . Welcome aboard, Frank! Enjoy the ride!